The holidays are a critical time for businesses of all kinds. Retail businesses in particular often rely on the holidays for a considerable portion of their annual revenue. Businesses in industries that aren’t associated with the holidays, on the other hand, might experience a sharp drop in revenue as employees and clients go on holiday, and just as holiday bonuses need to be paid out. While the precise reasons often vary, businesses almost universally experience cash flow difficulties during this time of year. 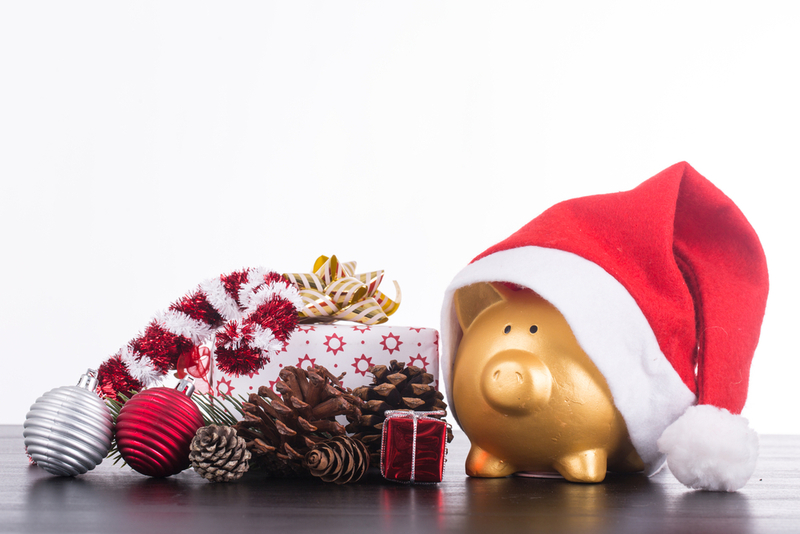 Whether they’re trying to manage the busiest season of the year, or just trying to get ready for January, businesses need holiday financing solutions to ensure that when the new year comes around, they’ll be in the best position possible. Those solutions need to be both fast and versatile, to allow business owners to manage very different kinds of financial problems in different situations. Inexperienced business owners often think that careful budgeting will smoothly see them through the holiday season, but it rarely works out that way. Creating a solid budget is a great idea, but it’s not enough to protect a business from late client payments, equipment breakdowns, or other poorly timed cash flow interruptions. For businesses who rely on the holiday rush, these can quickly become catastrophic problems. To manage them, they need near-immediate access to funds. Fortunately, alternative finance institutions like Fifo Capital provide especially designed cash flow solution that ensure that businesses always have the funds they need. Traditional business loans can take weeks or months to process, which makes them less than ideal for an issue that requires an immediate solution. An application for an unsecured business loan with Fifo Capital, on the other hand, can often be processed in less than a day. This allows a business that’s forced to manage an unexpected cost to move forward smoothly, while minimising any possible interruptions during the most critical time of the year. Invoice financing allows businesses to trade in an outstanding invoice to their financial institution in exchange for an up front payment. This may be of little use to a consumer-facing retail business who may not have any outstanding invoices to finance, but it’s an essential tool for B2B businesses. These are typically forced to deal with holiday slowdowns just as holiday parties and bonuses need to be paid for. By using invoice financing, they can give themselves a boost on future revenue to help them smoothly make it over the hump into the new year. Considering the amount of pressure that the retail sector has been under for the past several years, many businesses don’t have the cash on hand to purchase stock or hire the help they need to maximise their holiday income. Others, who may have thought that they were well prepared a month ago, face the potentially budget-breaking penalty-rate hikes that the Fair Work Commission put into effect on November 1. These particularly affect businesses who rely on seasonal casual workers to help them deal with the increased demands of operating during the holiday rush. Trade finance can be an incredibly valuable tool for businesses that are looking to use the holidays to drive growth and to boost revenues. Effectively it allows businesses to purchase stock domestically or internationally through their financial institution, rather than paying out of pocket. Purchases can be paid off up to 90 days later, allowing businesses all the time they need to use that stock to generate the needed revenue. Using trade finance allows businesses to invest in themselves, even if they don’t have their own capital available, or if they don’t qualify for, or don’t have time to apply for, a traditional loan. It can also be used to free up working capital that was originally budgeted for purchasing. By using trade finance, businesses can redirect existing funds to more pressing issues, such as payroll, or to compensate for a cash flow interruption. The holidays are a stressful time for businesses of all types. For many, though, it also marks the year’s most significant opportunity for growth. Knowing how and when to appropriately apply the financing tools available to them allows business owners to keep their operations running as smoothly as possible while maximising their ability to capitalise on the increased demand that the holidays offer.